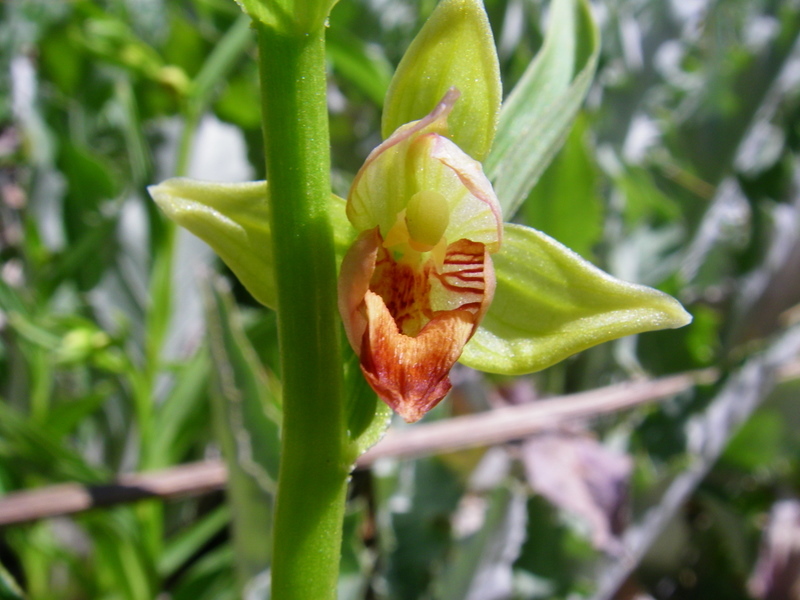 It's an Epipactus gigantea, from a spring in the Mojave Desert. In general, science writers love to tell stories about the quirks of evolution, the strange ways in which Darwinian natural selection has created the living world around us. And there are tons of great stories to tell. The danger, however, lies in assuming that natural selection has created every interesting trait we find in the living world. It can be too easy to theorize adaptive advantages and imagine evolutionary stories about how traits could have increased the reproductive success of those who possess it. Media Bias and Science Illiteracy: What the hell am I getting into? Do you ever feel like the news is biased? Obviously, sometimes it is, but in a lecture last Friday, Al Gunther explained that often we perceive that the media is biased against us, even when it is not. It’s called the hostile media effect, and it’s pretty frightening. Let’s say that you have a divisive issue, like reproductive rights. A purposely neutral article, written to have a balance of points from both sides, is shown to two people who are passionately on opposite sides of the issue. The pro-choice activist will probably report that the article is biased in favor of her opponents, and the anti-choice activist will probably report that the article is biased in favor of her opponents. The media is biased against everyone and can’t be trusted! In his research to understand why we perceive media bias, Gunther also gives some of the partisan test subjects the same neutral text, framed as a college student research paper instead of a newspaper article. Suddenly, the biases people report disappear, and the text is found to be neutral or even in support of their perspective. The same text! How crazy is that, we interpret bias in “news” or “media” that we don’t see in other places. Gunther believes that we see bias in the news is, in part, a result of our perception that other people are strongly effected by media messages, more so than we are. This is called the Third Person Effect, and they discuss it a lot in communication classes. As the lecture wrapped up, a fellow journalism student asked, “So what can we, as journalists, do about this?” Gunther’s best response was that if he knew, he would be making a lot more money. Since we can’t pay him for the secrets yet, we’ll just have to write balanced, responsible news that lots of people might disagree with. Fun! This all got me thinking about the exhausted climate change debate, and why we still call it a debate, and why journalists writing about it still feel pressure to include a comment from some scientist who does not believe that carbon accumulation in the atmosphere is causing long term, unpredictable changes to the earth’s climate. Journalists work to build a “balanced” story so that “climate deniers” can decry it for dealing with a made-up issue and environmentalists can decry it for given even one quote to a naysayer. It can feel like nobody is reading to learn anything new. Obviously, climate science is struggling with more than just hostile media effects. Science journalism is also just struggling with science. Public fear of science, that is. Science illiteracy seems to be a constant concern for science journalists, especially those writing for a broad public, not just the science-inclined audience that reads Discover and follows Carl Zimmer on twitter. I wrote an article trying to explain a research paper in Science about potential collapse of an ice sheet in Antarctica. The advice from my prof was that I was trying to be too technical, I needed to simplify my explanations. I am learning how smart you have to be to simplify. Complex things don’t become accessible easily. But, it has to be done, or I worry for the fate of the future. Here’s a scary statistic, only 40% of Americans believe in evolution. 40%! It’s been declining in the past few decades. Only half of college graduates in this country believe in evolution! How we can act to protect a planet if we don’t understand or believe in one of life’s primary principals? As a writer, I feel totally overwhelmed to try and conquer science illiteracy. Is it the journalist’s job to bring people on board? That’s a tough challenge, if people are unwilling to read about science to begin with. It’s hard to believe that if journalists just wrote better stories about evolution, people would change their beliefs. Beliefs are just harder than understandings, and I’m not sure how science should tackle that. I am sure that the answer starts in our schools, teaching kids that science is relevant and exciting. Then, I’ll just have to do my part to make sure that I write science stories that are relevant and exciting (fingers crossed).